When a company introduces a new camera, it usually fits into one of the following three categories: a) a brand new camera that inaugurates a new line-up (E-M1, E-M10), b) a substantial upgrade from the predecessor with lots of new features (E-M5 II) or c) a refined version of an already existing model. 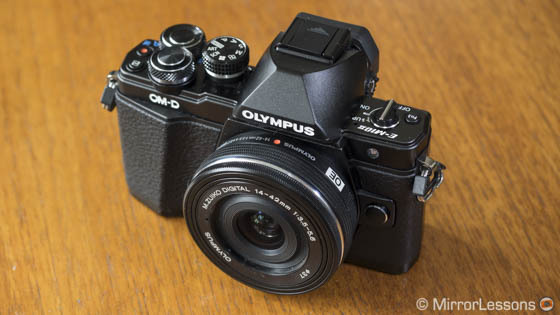 A year and a half ago, Olympus expanded its OM-D range with an entry level model, the E-M10. Now, the company has refined this model with a “mark II” version that inherits most of its principle characteristics from two other OM-D cameras, the flagship E-M1 and the recent E-M5 II. The result is a new OM-D that for the first time doesn’t have any substantial improvements or new features. 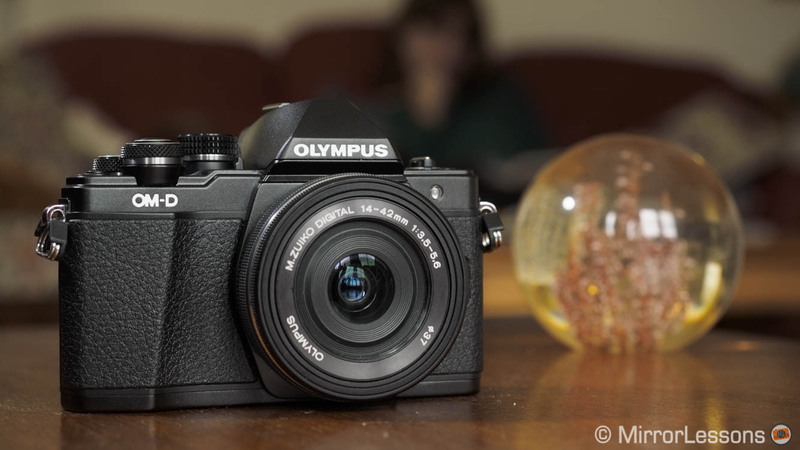 Olympus has instead tried to perfect the previous model. 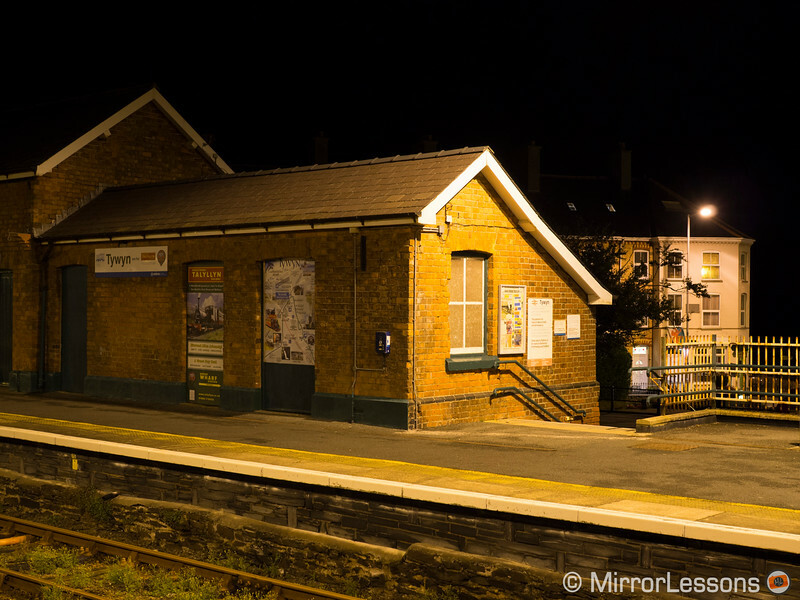 How good is the new Olympus OM-D E-M10 mark II? Let’s check it out! 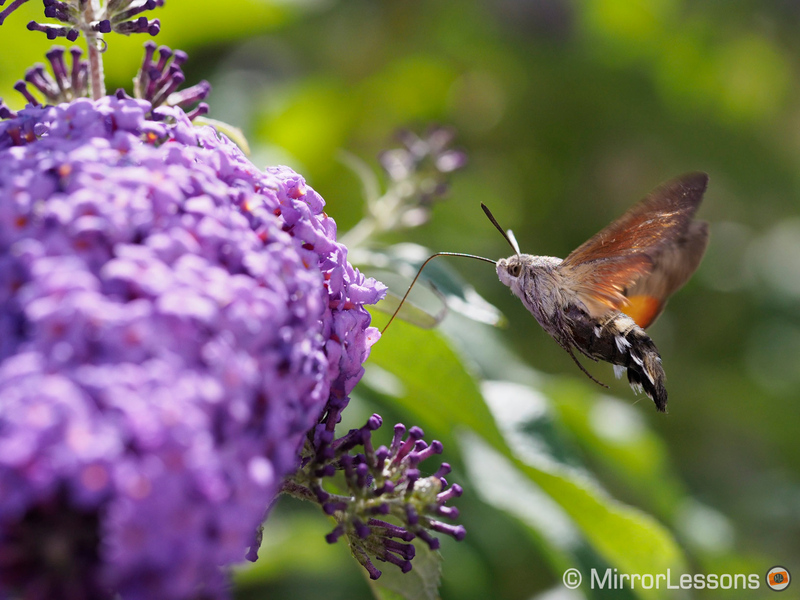 At the heart of the camera we find the same 16 megapixel Micro Four Thirds sensor found on the E-M10 and E-M5 mark II. The autofocus system is the same with 81 contrast detection points. The ISO sensitivity goes from 200 to 25600 with the extended “pull” option of 100. The bracketing, live composite/time and WiFi options all remain the same as well. However there are other aspects that have been improved or changed. Many of these characteristics come from the E-M1 and E-M5 mark II. 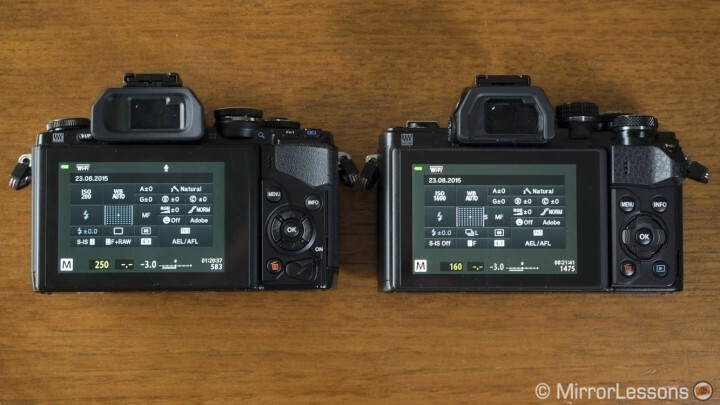 Before digging in-depth, I’ve listed all the differences between the E-M10 mark II and the previous model below, from the most important specs to the smallest changes in the Menu. EVF: Higher resolution (2,360k dots vs 1,440k dots on the previous model) and slightly larger (1.23x magnification). There is a new mode called S-OVF that “emulates” an optical viewfinder by disabling the real time exposure preview. Stabilisation: 5 axis instead of 3 axis for both stills and video, it can also be deactivated when shooting in continuous mode. 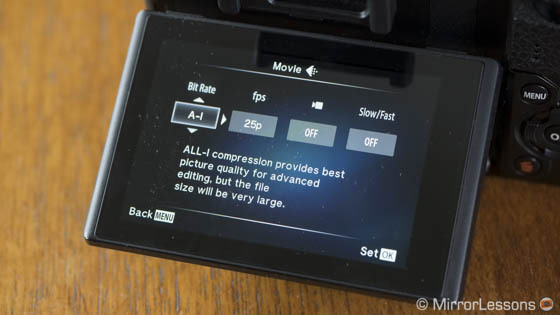 Drive: slightly faster continuous shooting speed with 8.5fps in High mode and 4fps in Low mode (E-M10 was 8fps/3.5fps). With the electronic shutter, it goes up to 11fps/5fps respectively. Video: the same as the E-M5 mark II. You can choose different bitrates including 72mbps with the All-I codec, various frame rates (60,50,30,25,24) and timecode settings. 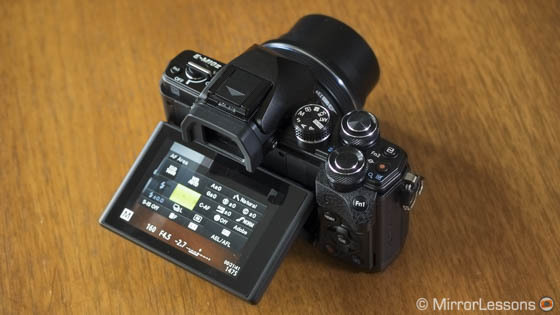 Touch screen: new AF Targeting PAD option that keeps the touch LCD active when using the EVF. You can use your finger to change the position of the focus point while composing with the viewfinder (as with some Panasonic cameras). In addition to this written review, you can also watch our video review below where I share some sample movie footage that shows the Full HD quality and the stabilisation performance for video. 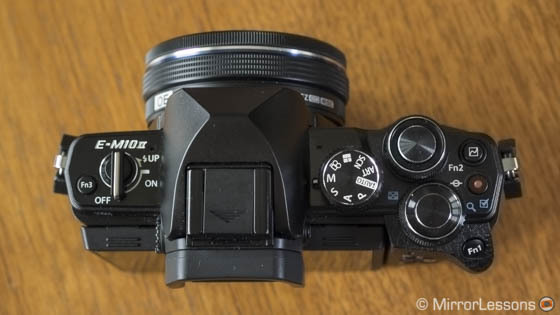 The design of the E-M10 was already good and pretty functional. The smaller size and entry-level label made it of course simpler and less complete than the most advanced OM-D cameras, but at the time I found the camera nice to use especially with the optional grip. The E-M10 mark II gets a facelift with the two new dials on top. The camera’s design remains basically the same and features an all-metal build. It is available in silver or black. Unfortunately the body is not weather-sealed. The dials on top are now slightly smaller and chunkier and the mode dial has been moved to the top right along with the aperture/speed dials. This means that you can easily use the three dials with the same hand. In the place of the old mode dial, we now have a new on/off switch that also activates the pop-up flash built in the fake pentaprism. This new solution is definitely nicer to use than the flash button on the E-M10, as it was smaller and more awkward to reach. (Though if you are overzealous when turning on the camera, you might sometimes activate the flash by accident.) The extra space also allows for an additional function button (three in total). The new dials are definitely a nice improvement. They are easy to find even when looking through the viewfinder and the new texture gives you a good tactile experience. What I like less is that the Fn2 and movie recording buttons are placed so close to each other. I would have preferred to see one of them moved to the front. On the rear, the button layout is almost the same except for the playback button that has been moved to the bottom. The arrow pad has also been redesigned. 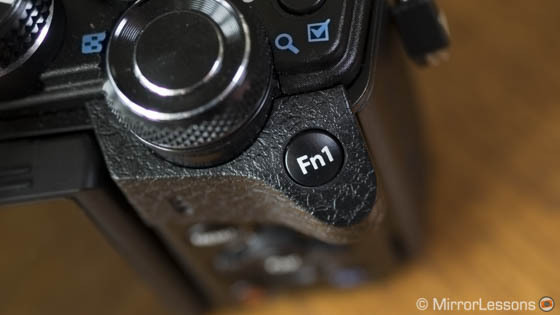 The thumb rest incorporates the Fn1 button and is more prominent which gives the camera a slightly better feel than the first E-M10. However, your hold on the camera only becomes perfect if you use the optional landscape grip designed for the camera. 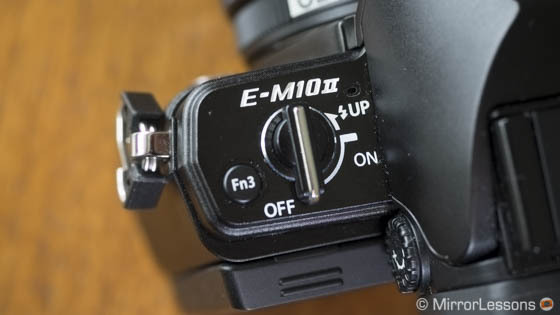 Unfortunately, despite the almost non-existent changes in dimension, the first ECG-1 grip released with the E-M10 is not compatible with the E-M10 mark II. 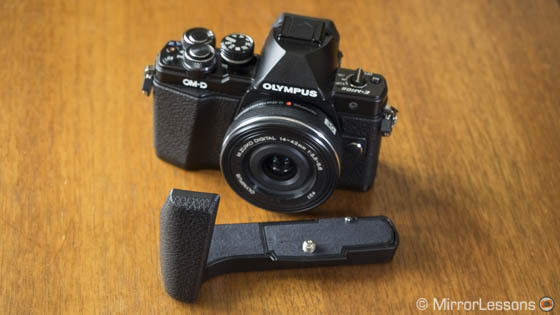 Olympus released a new grip called Olympus ECG-3 Grip for the Olympus OM-D E-M10 Mark II which, as a consequence, isn’t compatible with the mark I camera. It is unfortunate as the incompatibility comes down to a few millimetres of difference. The original E-M10 also has a very tight mount and it was quite hard to mount and turn the lens to lock it in place. The E-M10 II has definitely improved in this regard; mounting/unmounting the lens requires less force. 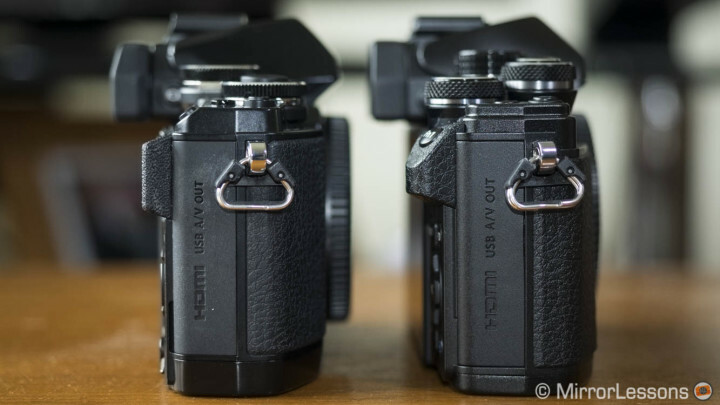 Below you can see a side-by-side image comparison of the new and old E-M10 models. The E-M10 mark II offers a good level of customisation. We have four Function buttons including the movie recording button. The arrow pad on the rear can be programmed to change the position of the focus point with the four arrows or to have a different option assigned to each direction. The two main dials on top can be programmed differently according to the shooting mode and can also be used to navigate the menu and change the options within. You can also invert their functionality. If there is a shooting mode you never use on the main mode dial (for example the Art Filters), you can assign one of your saved custom settings (Myset) to that specific mode dial function instead. In addition to the various buttons and dials, you can activate the Quick Menu with the OK button. I always find it very useful not only to change my settings but also to check at a glance the settings I am currently using. It is easier to read than the various icons at the edge of the LCD screen. The LCD screen can be tilted up or down, has a good resolution and nice brightness. It has touch sensitive capabilities that allow you to change your focus point, magnify an area and take a shot by simply touching the screen. 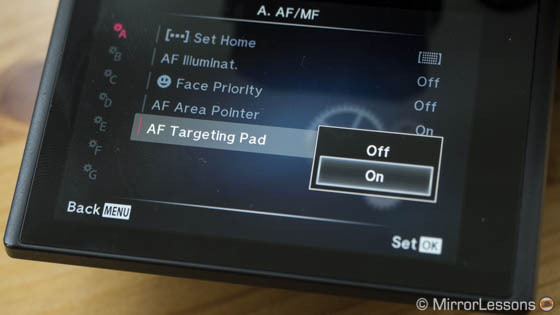 One feature that makes its debut on an Olympus cameras is the new AF Targeting Pad function. Found in the AF/MF sub-menu, the LCD blacks out when it is activated but the touch area remains active so you can use your finger to change the focus point. The same function was first introduced by Panasonic with the GX7. You can double tap to activate or deactivate this feature, which is very helpful because sometimes my nose inadvertently touches the screen and changes the focus point. You can also change from single to multi AF by dragging the focus point to the edges. This new implementation is a welcome feature but I often found that it wasn’t precise enough. Sometimes you have to touch the screen more than once to activate it. It is a nice extra but I wouldn’t rely on it to change my focus point all the time. The EVF is an improvement over the previous E-M10. We get more resolution (2,360k dots instead of 1,440k dots) and a slightly larger magnification factor of 1.23x (previously it was 1.25x). The EVF has a short time lag and an excellent refresh rate. There are also different options you can program for the EVF and Live View. First there is a new S-OVF option that basically emulates a DSLR optical viewfinder: it disables your exposure and picture setting preview. So if for example you set the picture profile to monochrome and overexpose by 2Ev, the LCD will preview these settings while the EVF will show you a balanced and neutral colour image instead. Another option is called live view boost and it works for both the EVF and LCD screen. It shows you the brightest image possible regardless of your settings (useful in studio environments or for long exposures) and you can set it according to the shooting mode (manual, live time/bulb, live composite, others). The E-M10 mark II has the same 16 megapixel sensor and TruePic VII processor found on the E-M10 and E-M5 mark II. As such, the difference in image quality is basically non-existent. You get good dynamic range, and good low-light performance up to 3200 ISO or 6400 ISO depending on your level of acceptance. The colour reproduction is faithful to what other Olympus cameras deliver and is certainly one the characteristics I like the most. While we don’t get the same depth or natural-looking rendition as a Leica M or Q, or a more organic look like the one produced by Fujifilm cameras, Olympus colours are definitely pleasant and modern with well-balanced saturation and contrast. Auto WB works well and you can choose to have warmer colours. The latter definitely works better indoors with natural light (the kind coming from a window) – otherwise the camera tends to produce a much cooler rendition. 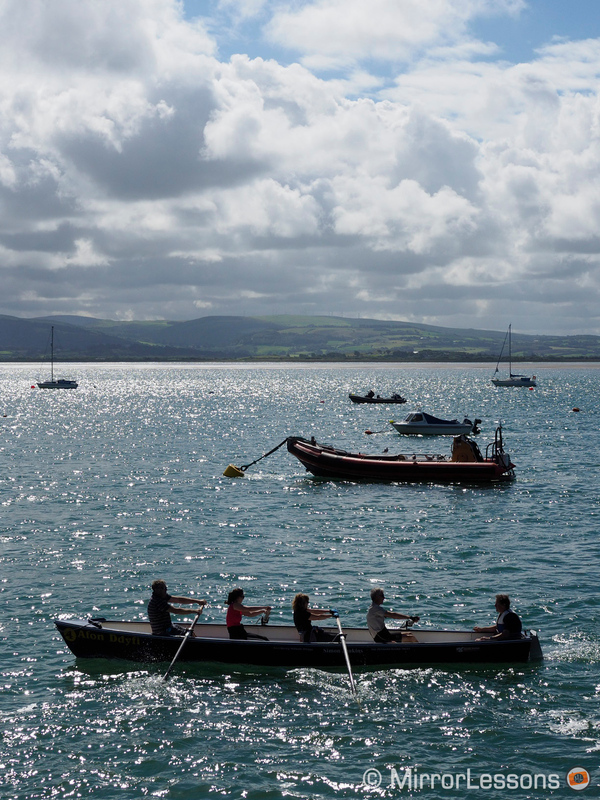 The JPG engine is excellent and images straight out of the camera are very usable. 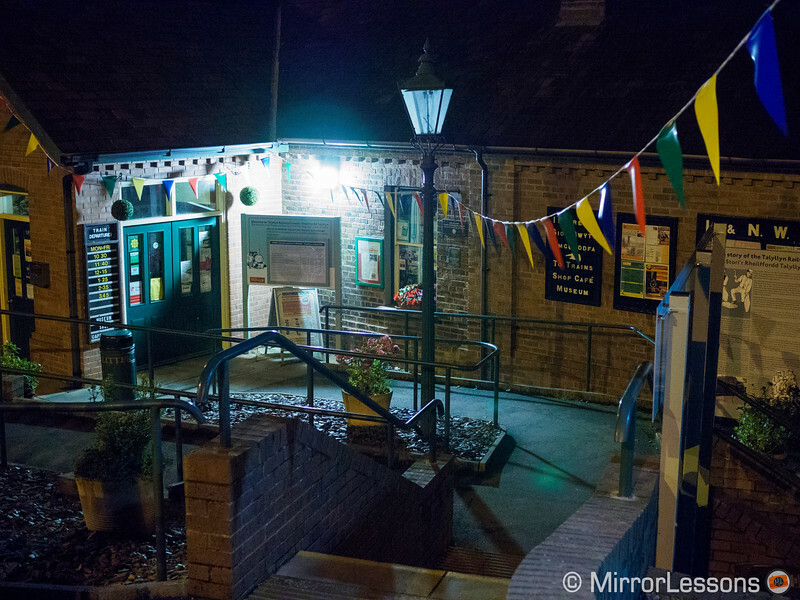 At high ISO values, I suggest leaving noise reduction to Low to preserve more detail. 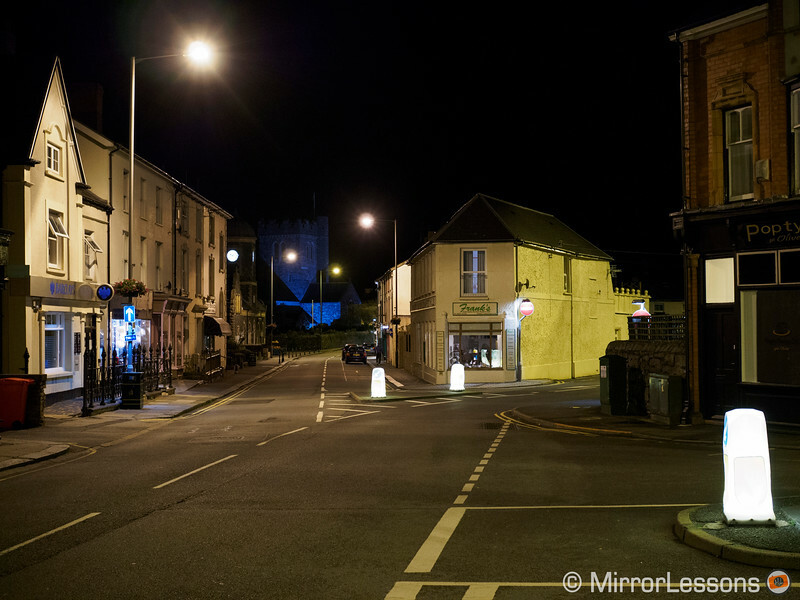 Update: other reports state that the E-M10 mark II has less noise and improved Raw quality. I uploaded a comparison between the E-M10 and E-M10 II from 800 to 25600 ISO to a Smugmug gallery (click here). Both cameras have the same exposure, white balance, picture profile, sharpness and NR. The images were converted from the ORF files to JPGs with Olympus Viewer 3 (since it can already read the E-M10 II Raw files) and with the NR turned off. I honestly see very little difference. 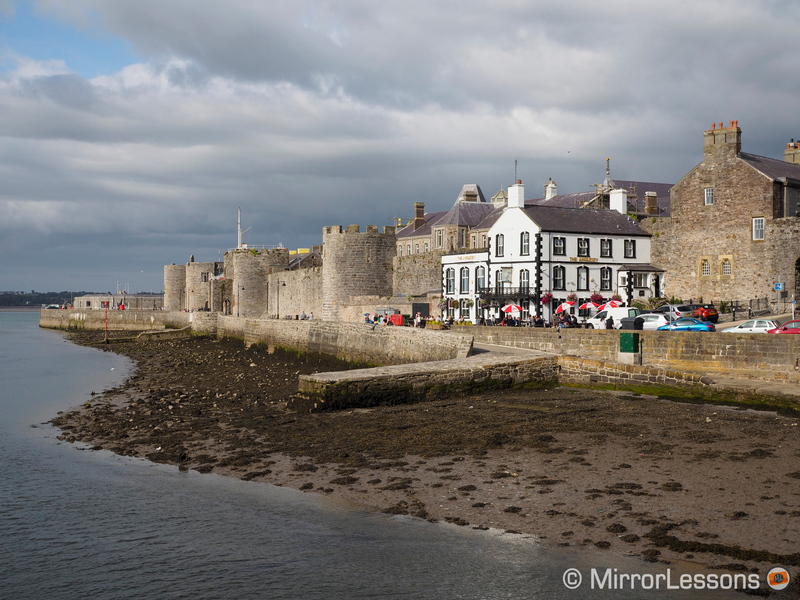 If you want to find out more about image quality, I suggest that you read our original E-M10 article or our E-M5 mark II review. Below you can see a few additional sample images. Note that the Raw files aren’t yet compatible with Lightroom, but I managed to change the exif data (from E-M10 Mark II to E-M10) with exiftool so that Lightroom would read the files. 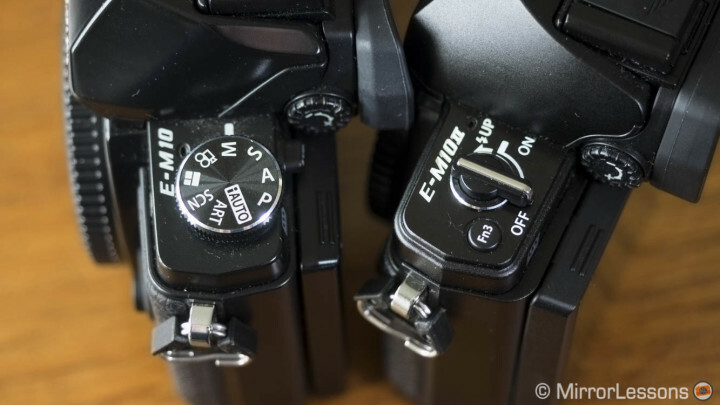 The E-M10 mark II has the exact same autofocus system found on the E-M5 mark II. It is contrast detection with 81 points and an updated algorithm for the continuous shooting mode. The AF is very fast and reliable in Single AF mode. It slows down a little in low light and can also suffer from specular highlights in the background. There are different area modes available. Multi Target will select any of the 81 areas available, Group Target will work with a group of 9 points and Single will use only one AF point. As with the other OM-D cameras, I find the single and smallest point options to be the most reliable. Continuous AF is also excellent. 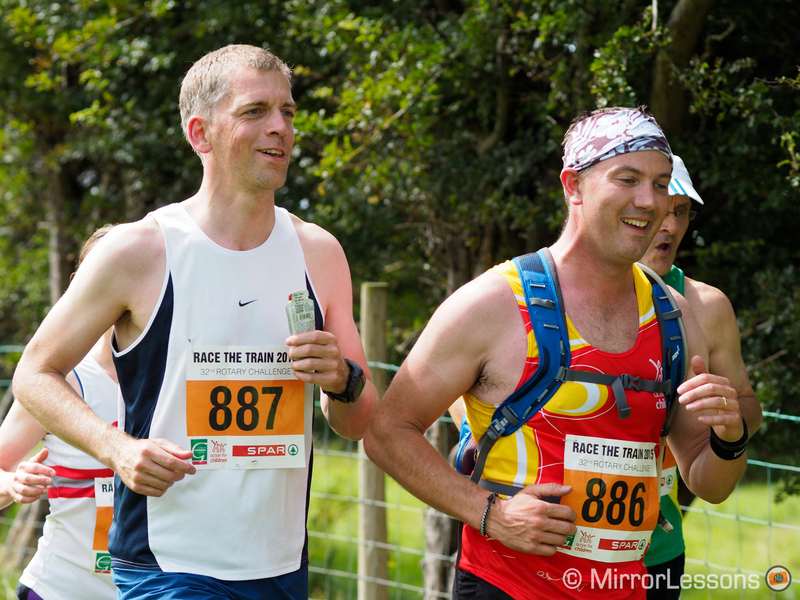 We used the camera for the 2015 Race The Train marathon in Wales and the camera managed to keep up with the more expensive and advanced equipment used by other photographers at the event. The drive speed with focus priority in C-AF (Low) isn’t the fastest (around 4fps) but enough to capture good action shots when the subject moves at a medium speed. 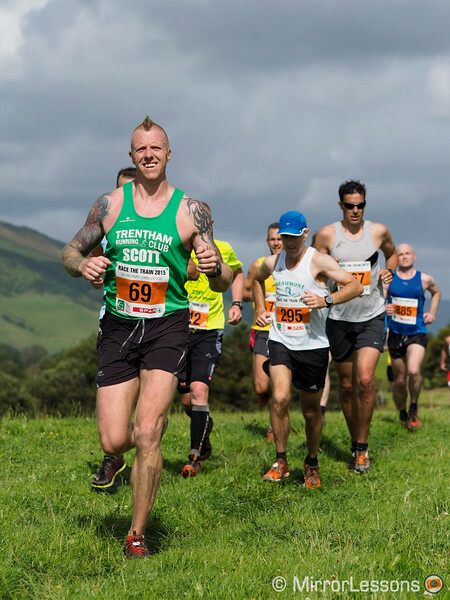 We also used AF Tracking a lot especially when tracking the runners that were coming towards us on a diagonal path. In Single AF, you can select the High continuous shooting mode and go up to 8.5fps. 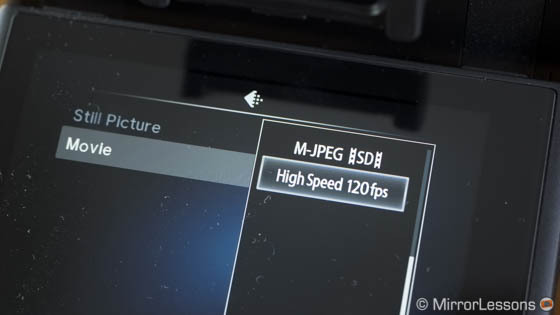 If you decide to use the electronic shutter, you can increase this speed to 11fps and 5fps respectively in High and Low mode. However beware of rolling shutter issues (distorted vertical lines), a common problem with electronic shutters. The buffer capabilities of the camera are decent. Of course the best performance can be achieved by only shooting JPGs. In High mode the camera maintains the fastest speed for approximately 5 seconds before slowing down (with Raw it is only 2/3 seconds and then the speed slows down considerably). In Low mode with JPGs, the speed never slows down and the camera doesn’t stop shooting. 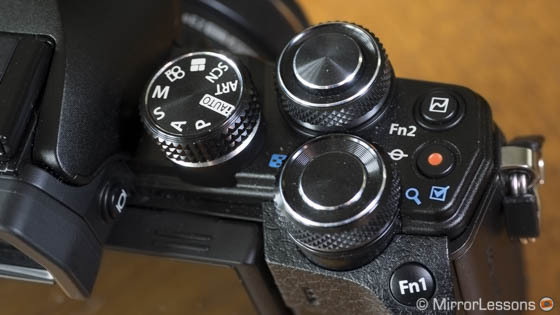 Coming back to the electronic shutter, this is a characteristic that was first introduced on the E-M5 mark II. The camera can’t go higher than 1/4000s with the mechanical shutter but can go up to 1/16000s with the full electronic option. The camera is also completely silent. In addition you also have the option of a first electronic curtain called Anti-Shock in the Menu. 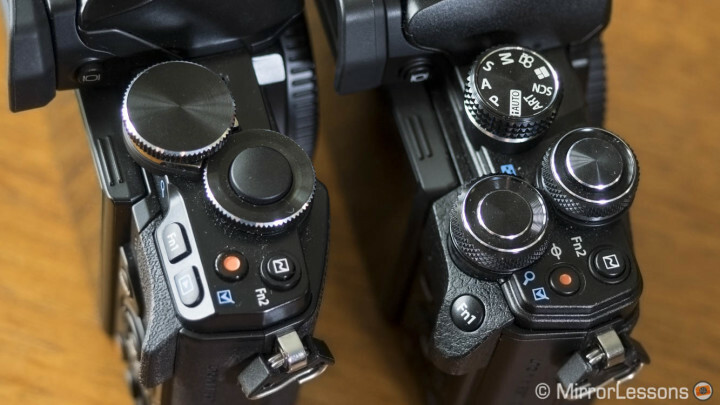 You can select 0s or delay its release to diminish the chance of shutter vibrations. If you want to use manual focus instead, there are both the Magnification and Peaking MF assists. 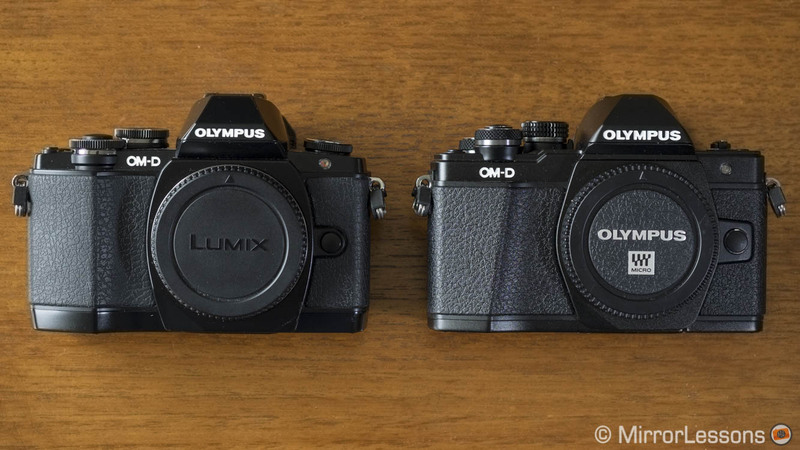 The latter inherits the same upgrade as the E-M5 II. You can choose between 4 different colours (white, black, red, yellow), adjust the highlight intensity of the peaking and choose if you want the camera to decrease the image brightness to make the peaking more visible. Perhaps the best upgrade the E-M10 mark II has received is the 5-axis stabilisation. The first E-M10 had only 3 axes and while the performance wasn’t bad, it feels a little bit like a limitation put on the camera to differentiate it from the high-end OM-D models. The E-M10 mark II inherits the same 5-axis sensor shift system found on the E-M1. The E-M5 II has the most recent stabilisation technology which means that it is still the best camera on the market when it comes to image stabilisation. 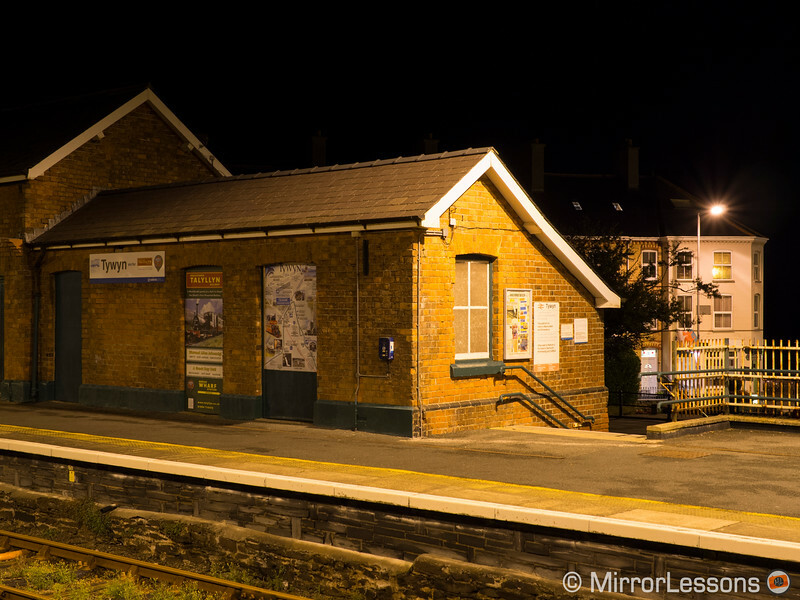 The test I usually perform is to use the slowest shutter speed possible and see how sharp the resulting image is. With the E-M,1 I managed to go as slow as 1 second hand-held in the past and I was able to do the same with the E-M10 II using the lightweight 25mm lens. With the E-M10, I managed to achieve optimal sharpness at 1/2s once but I would suggest the safe speed is around 1/4 or 1/5s. 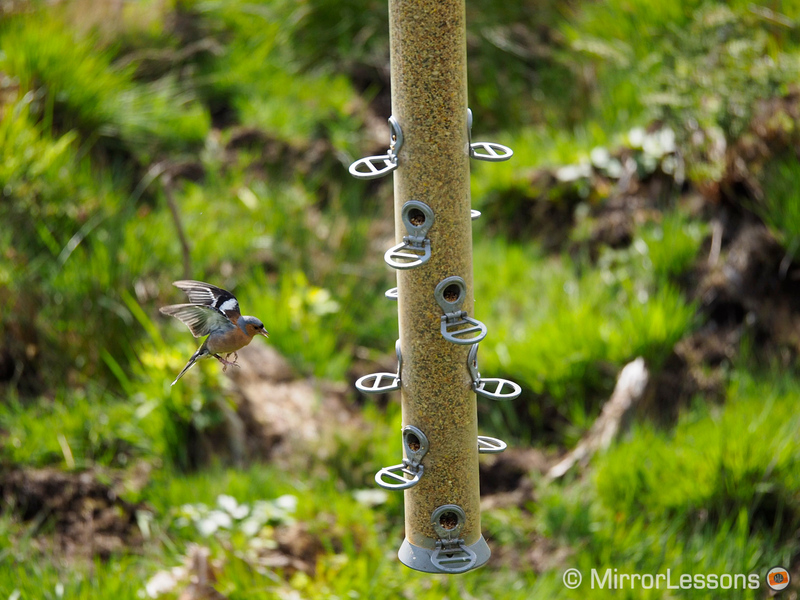 Like the E-M5 II, the stabilisation can be automatically deactivated when shooting in continuous burst mode. The OM-D E-M10 mark II inherits the same video capabilities found on the E-M5 mark II. You get different levels of compression quality including an All-Intra codec option that records with a bitrate of 72mbps. You also have several frame rate options from 60fps to 24fps, and a slow motion mode which is basically 60 or 50fps recorded and conformed to 25 or 25fps. You will also find similar settings including timecode. As with the E-M5 II, the upgrade in video quality is a welcome addition and was needed for Olympus to remain competitive. That said, with the rapid spread of 4K, slow motion capabilities and better video codecs on Panasonic, Sony and Samsung cameras, Olympus is still lagging behind. The footage that comes out from the E-M10 II is good but we can still find aliasing and moiré issues that in some cases can be annoying. However the E-M10 II like the E-M5 II has one advantage over all its competitors and that is image stabilisation once again. It is really excellent not only for stills but also for video. The E-M10 mark II uses the 5-axes during movie recording as well. 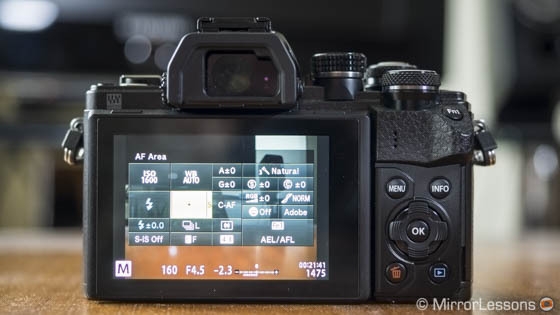 However, like the E-M5 II, it does suffer from some “sensor shift shock” or what I also call a “sudden sideways shift”. Basically when panning left or right and then slowing down and stopping the movement, the image can suddenly shift back and forth before settling. I explain this in-depth in the E-M5 II stabilisation video here. You have two options to choose between: M-IS1 will use both sensor and software stabilisation (and crop the image a little bit). It can have some jello issues due to the software implementation. M-IS2 only uses the sensor shift and it is my favourite setting. It works well for macro shots as well. You also have the option of creating 4 or 8s clips that you can then edit and re-arrange in-camera before creating the final movie. Finally, there is a 120fps slow motion mode but unfortunately it records in motion JPG and 640×480 resolution, which is way below Full HD capabilities. Note: You can watch some sample footage in our video review. Olympus also introduced some 4K capabilities to the E-M10 II but before you get excited, it isn’t what you might be thinking. It is related to the time-lapse functionality. On the other OM-D cameras, you have the option not only to save all the images taken in time-lapse mode but also to create a movie file in-camera. However the quality wasn’t particularly great and limited to 720p resolution (HD ready). The E-M10 II enhances that time-lapse movie option with 1080p and ultra HD (4K) options. While the output quality of the movie itself is not bad (it uses the Motion JPG compression once again), the frame rate is limited to 15fps in Full HD and 5fps in 4K. The latter in particular can result in less fluidity and jumpier transitions between the different shots. It will work for casual use but if you have a little bit of experience in creating time-lapse movies in post-production, you will get better results by importing the individual images into a video editing software and creating a 25 or 50fps movie from there (it is better to use just the JPGs). Below you can see an example of a walking 4k time-lapse. The other features and functionalities found on the E-M10 II are for the most nothing new to the OM-D/Pen series but that doesn’t mean it doesn’t include some great features that both amateurs and advanced users can enjoy. Certainly the Live Composite and Live Time features are two of the best functions you can find on recent Olympus cameras. 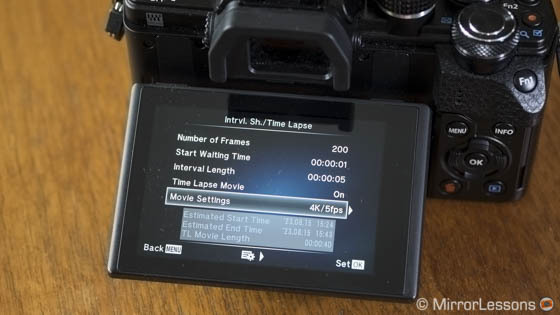 The Live Time allows you to shoot a long exposure and have a live preview of how the exposure is coming along on the LCD screen. This is very helpful because you can stop the exposure exactly when you want. It is also very helpful for light painting. 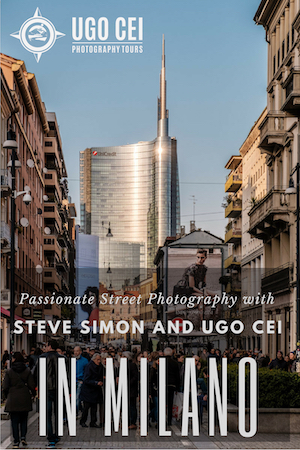 With the Live Composite, the camera blends several images in Lighten mode, which means that the brightest areas are preserved while the darker areas are constantly updated with new exposures. 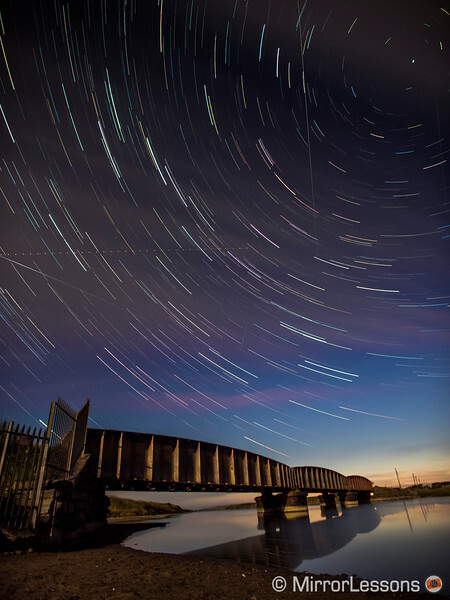 This function is very useful for star trails, fireworks or any other similar scene you can think of. Below you can see an interesting light painting video that also combines the bullet-time technique. The project was realised by the light-painting artists Zolaq using 50 OM-D E-M10 cameras and the Live Composite mode. 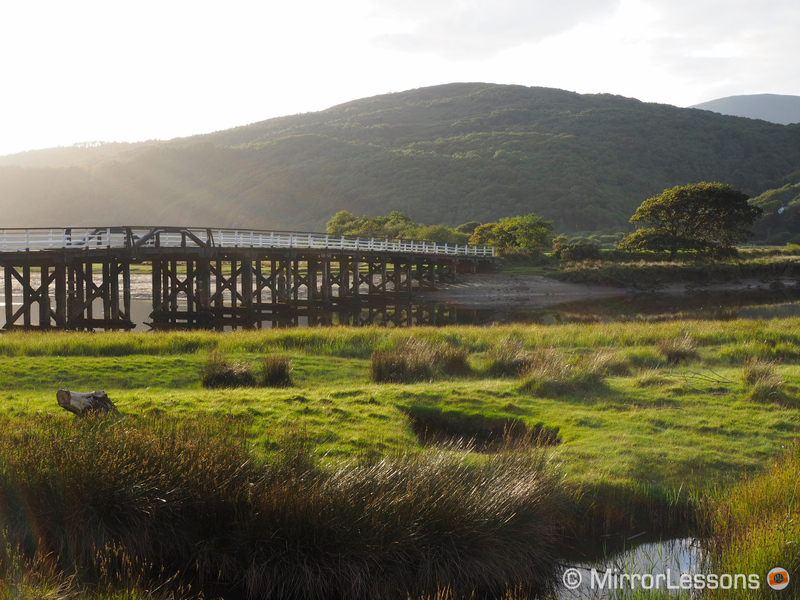 Other useful features include several bracketing methods and an HDR bracketing option up to 7 frames and 2Ev steps. 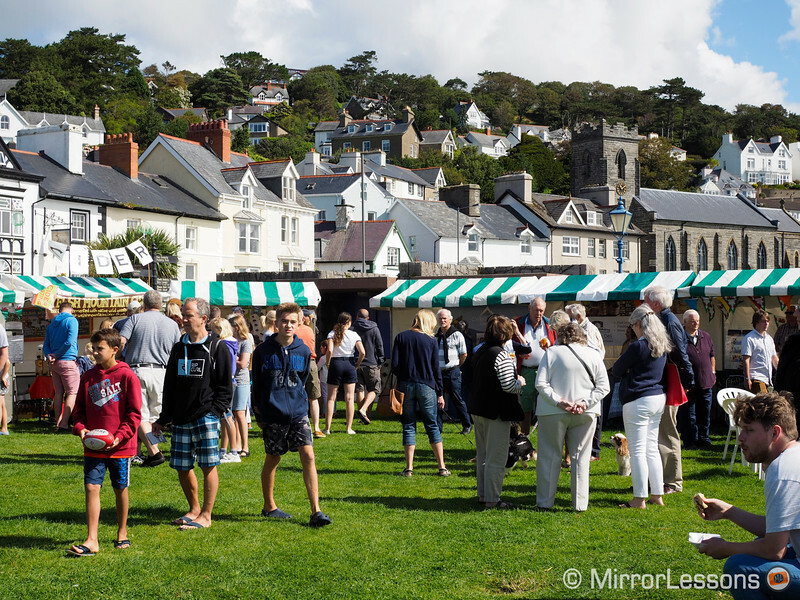 There is an additional new bracketing mode called Focus Bracketing. The camera can take between 3 and 999 shots by slight changing the focus point (10 steps selectable). To do so, it switches to the electronic shutter and High continuous shooting mode. When the shutter button is released, the camera takes a burst of images corresponding to the number selected in the Menu (if you select 10 images, it will take 10 images in a row). Between shots it changes the focus distance (you can set the difference to be narrower or wider in 10 steps). 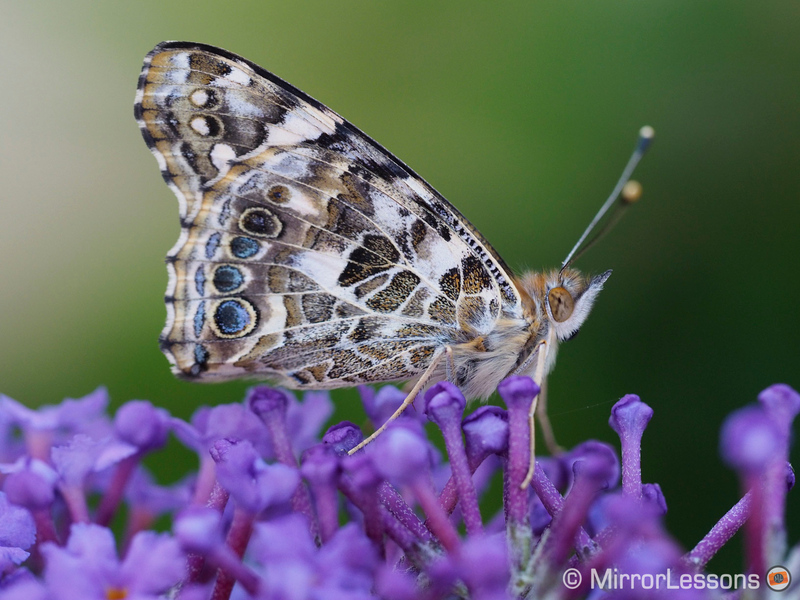 This new bracketing mode can be very useful for macro photography where focus stacking is often required to bring your entire subject into focus. However the images will still have to be merged in post-production. 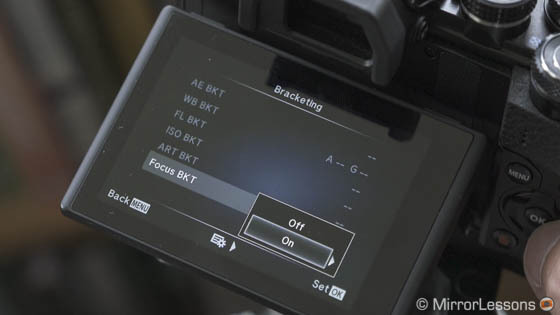 Unlike the other bracketing modes, if you want to terminate it early, you have to turn the camera off and on again because all the settings and menus become inaccessible. 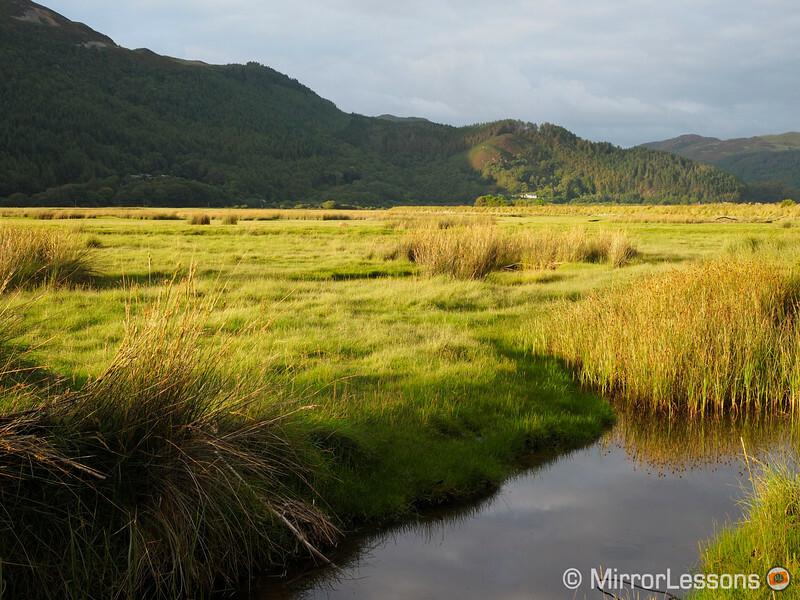 Update: find out more about the new Focus Bracketing mode with our in-depth article here! Below you can watch a quick video that shows how the camera work and the final image I stacked with Photoshop. 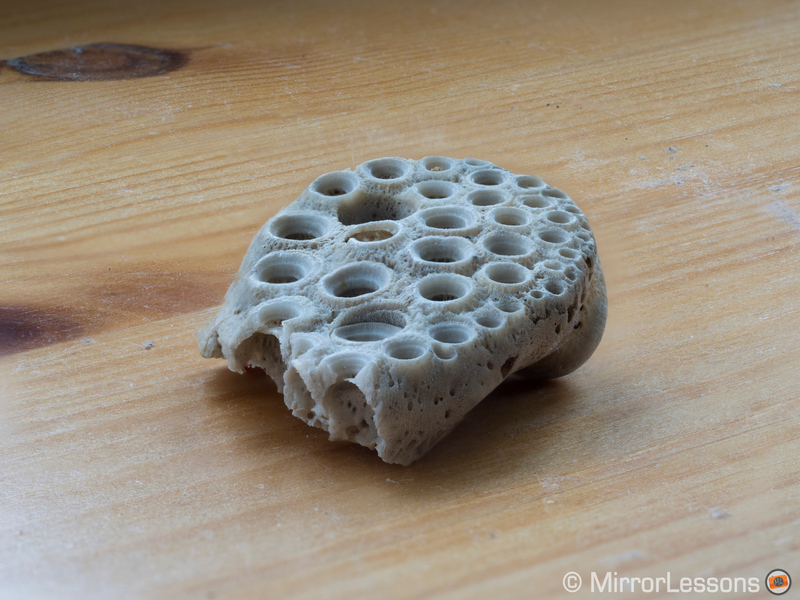 It is a simple example as I admit I am not an expert when it comes to focus stacking. I do wonder if Olympus will be able to implement focus stacking in-camera in the future. You also get the traditional Art Filters and Photo story modes but I admit I never use them on any of the OM-D cameras. Of course the camera includes a complete Auto mode as well as a Scene mode where the camera chooses the optimal settings depending on the Scene selected (night, landscape, sport, etc.). The Olympus OM-D E-M10 mark II also has Wifi capabilities and can be used in conjunction with a mobile device to remotely control the camera and transfer JPGs. You can also use the device as a monitor for the Live Time / Live Composite feature. 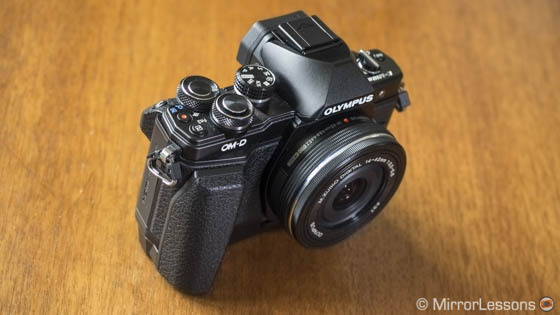 The new Olympus OM-D E-M10 mark II is yet another very nice OM-D camera from Olympus and I enjoyed the two weeks I spent testing it. It is great to see that the brand is managing to keep the series at a very high level of quality. Indeed, there haven’t been any particular flaws in the series so far. In the case of the new E-M10 II, we don’t really get any exciting new features but we do get a mix of some of the best functions and specs from the other OM-D cameras, all condensed into a light and compact body. Personally, I feel that the implementation of the 5-axis stabilisation was the best choice. It keeps all the OM-D cameras on the same level and reinforces the OM-D brand as being the reference when it comes to image stabilisation for both stills and videos. The other main aspects are the same and bring no surprises: the same image quality, autofocus performance, and good user experience that in this case is enhanced with new dials and an improved EVF. That said (and to be perfectly honest), I expected that more time would pass before seeing an E-M10 upgrade. 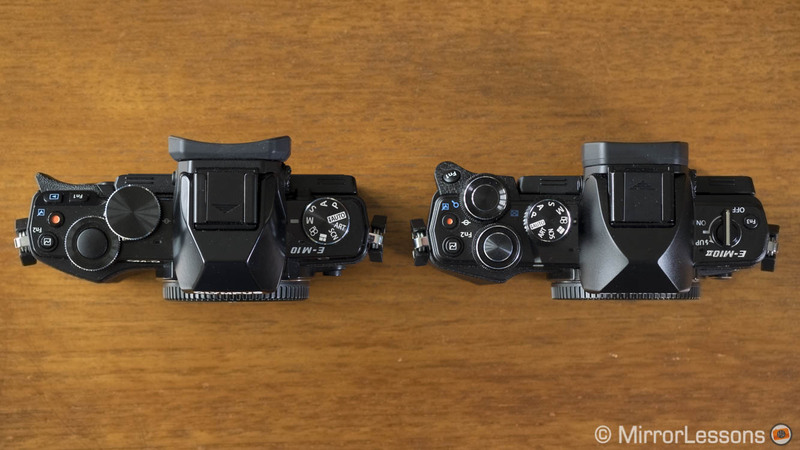 Olympus kept the original E-M5 for almost three years and the E-M1 is turning two years old this September. The good news in all this is that the original E-M10 will remain on the market as a true entry-level model and will have a more attractive price. 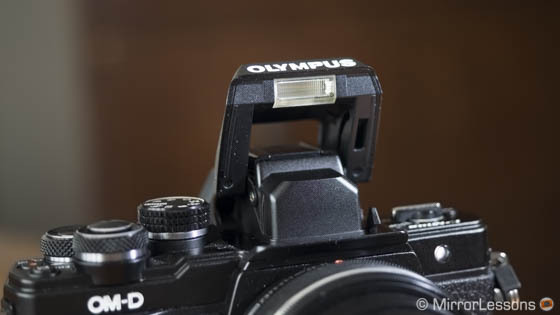 This is a good thing if Olympus wants to attract new users to the OM-D system. Despite the nice improvements made to the E-M10 mark II, I wouldn’t hesitate to recommend the original E-M10 if budget is your main concern. Now that the E-M10 has a successor, I’m sure that the spotlight will now turn towards the next OM-D camera, which could only be the E-M1 mark II. I do expect a lot from the next flagship model. I think it is time to see a brand new sensor with concrete improvements to image quality and I also believe that Olympus needs to push forward on the video front given the very fast updates being released by the competition. The next E-M2, E-M1 II or whatever it will be called is definitely the camera I’ll be looking forward to in 2016. The new AF Targeting Pad option can lack some precision.